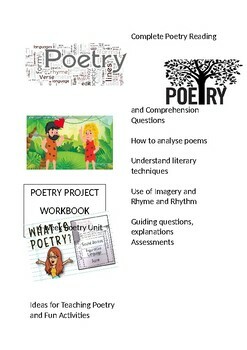 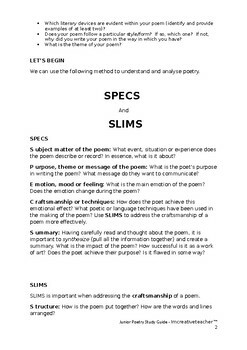 This 40 page poetry workbook, includes complete analysis that help students understand literary techniques (simile, metaphor, personification, hyperbole etc), rhyming schemes and themes. 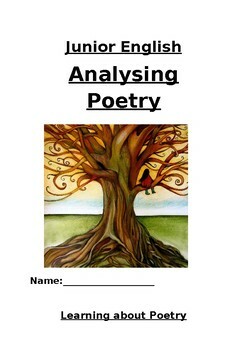 Fun activities to learn more about sonnets, guiding questions, explanations and assessment tasks. 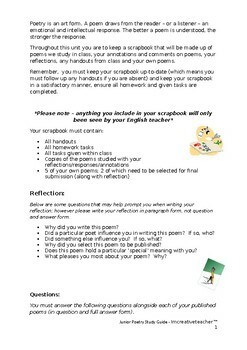 There is even extension tasks included.